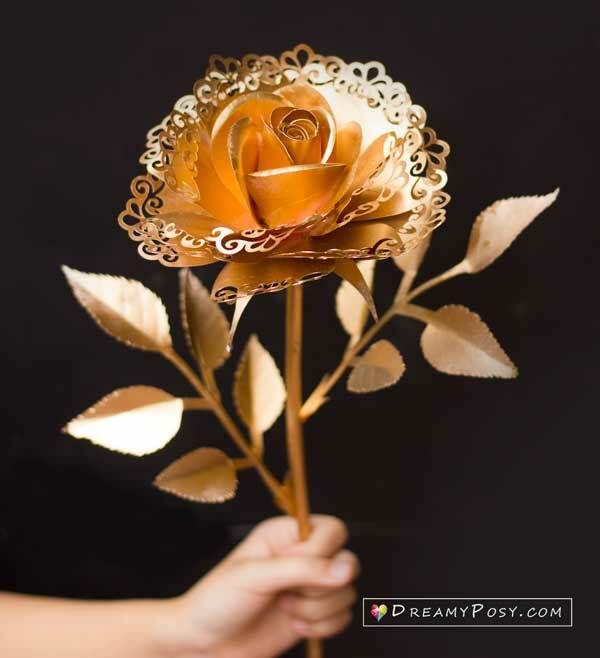 There are many ways to DIY rose from paper. 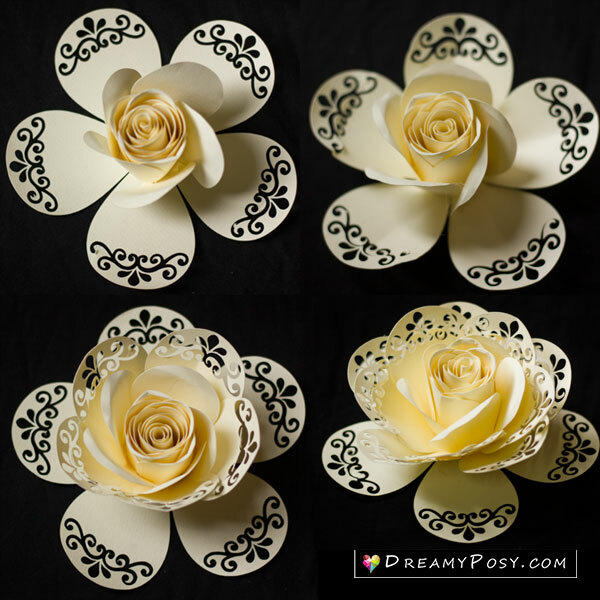 You can check the other paper roses tutorials here. 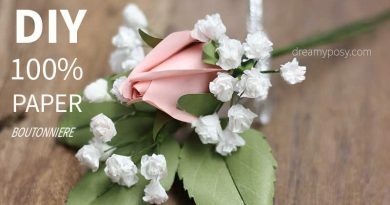 And today is another quick tutorial to make a lace paper rose. Making these flowers is not only help me to stop negative thinking (which healing my painful mind), but also get some other smiles when they saw it. So that’s why I am fond of making these simple little things. I made this with the help of Cricut, but you could easily create the cut out in the rose petal with a punch. 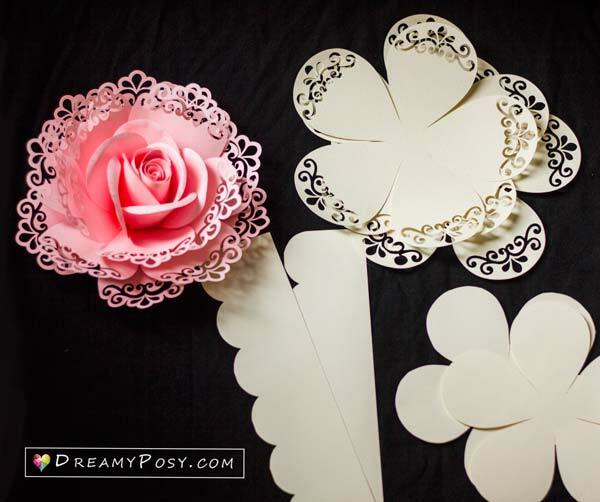 2 strips, 2 layers of small petals and 3 layers of cut-out-petal will be needed for each flower. Here is my Cricut tips and tricks to cut these template perfectly. 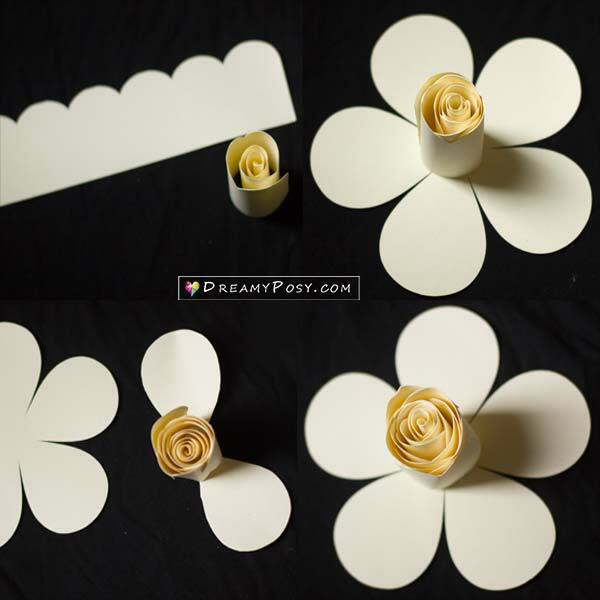 Step 2: Scroll the paper strips of paper and make the center flower. Try to roll the strips as close as you can in the center. 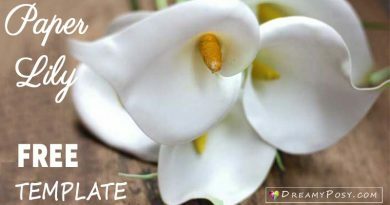 Glue the 2 layers of small petals to that roll accordingly. 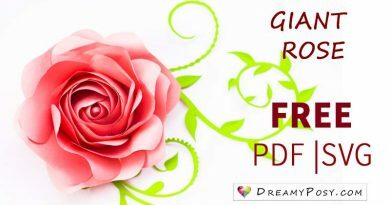 Please refer to my paper rose video tutorial for clearer view. Step 3: Apply 3 layers of cut-out-petals. 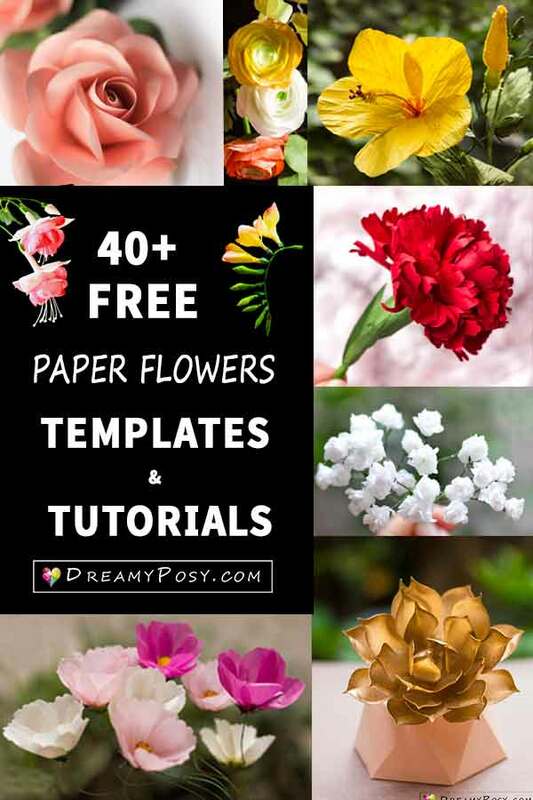 If you want to make paper flowers, I have shared many other free tutorials and templates of how to make paper flowers here, you will surely enjoy it. Sorry, Brenda. I have no experience with Cameo yet. 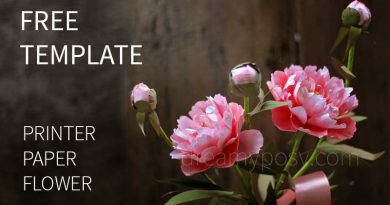 Beautiful flower & leaves templates. Your tutorials are easy to follow. I am in awe of your creativity 🙂 Purchase was quick & easy to do; download was successful at every attempt. Thank you Katheleen for your nice words. Yes, it’s SVG file. The download link will be sent to your email right after your order. The file will be auto downloaded to your computer right after your click, pls check your Download folder. I saw that you have found the way to download it right? But I also sent the download link to your email just in case. Pls check your spam mail also. Below is a copy of a letter I sent to you after a purchase on Jan. 24th = ‘I purchased the pink lace rose through paypal today (order #2589). Your page says the rose is $2 but my receipt says I was charged $10 for a commercial license. I went back to the rose page and added it to the basket again but it is stil telling me $10 for a license and saying nothing about the rose. 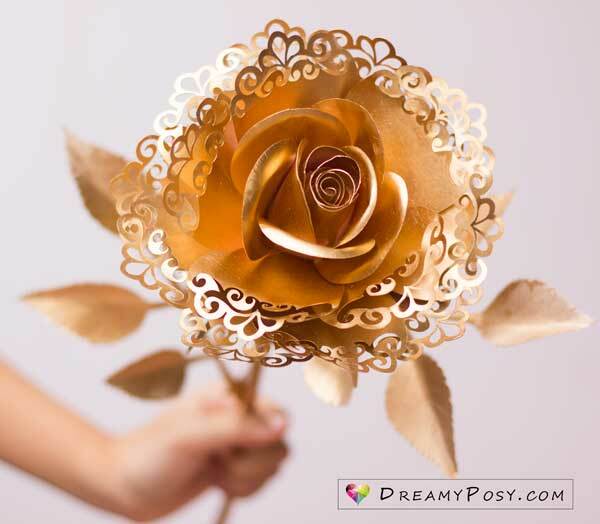 There are two things I would like to be done:#1-receive the template for the rose that I purchased and an $8 refund for the price difference or #2 receive the $10 refund for the commercial license. Thank you for your prompt attention to this matter. ‘ As of today Monday Jan 28,2019 I have had no response from you nor have I received the purchased flower. would you please handle this matter in the appropriate manner. I’m sorry that you got this problem on my shop. I didn’t received your previous message. Did you send me via social network or email? 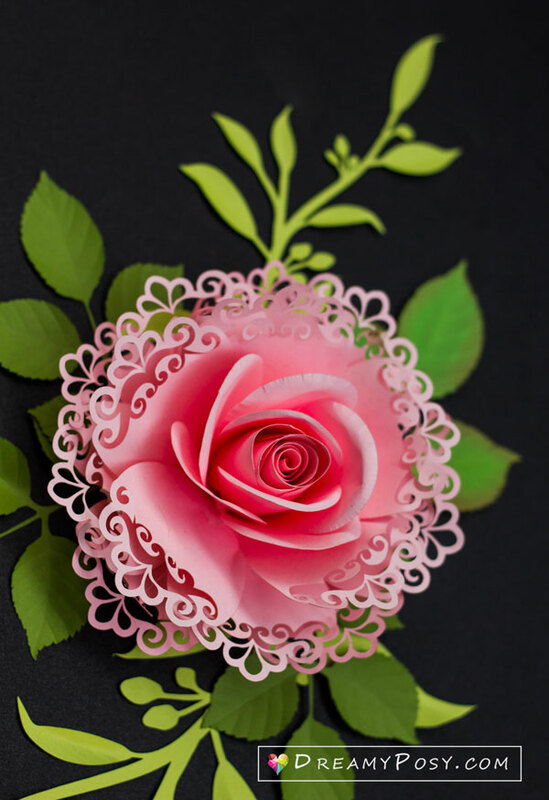 I have made 100% refund to you and have sent you the lace rose template via email as my sincere apology. Hope that you will share me your final rose. Thank you. 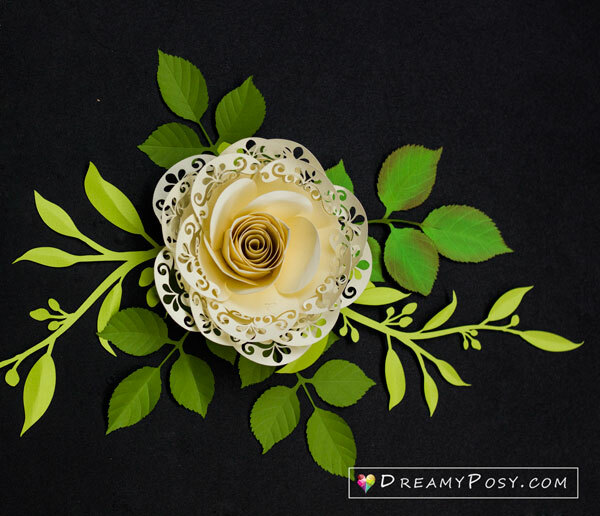 I am looking for the free templates for the lace rose , I have searched and it’s not on your page. I’m doing a baby shower and the lady loves this idea for a back drop in differ sizes. 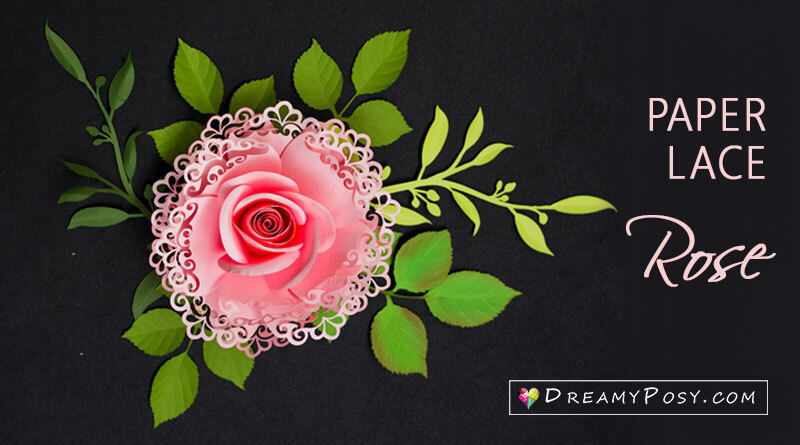 I purchased the pink rose lace template but cannot find the video (or it won’t load) for it and it isn’t the same as the other paper roses. Could you send me the link? Sorry, Ronda, I just have a picture tutorial for this pink rose. Sorry for any inconvinience caused. Which type of file do you need? I will send it to you asap.